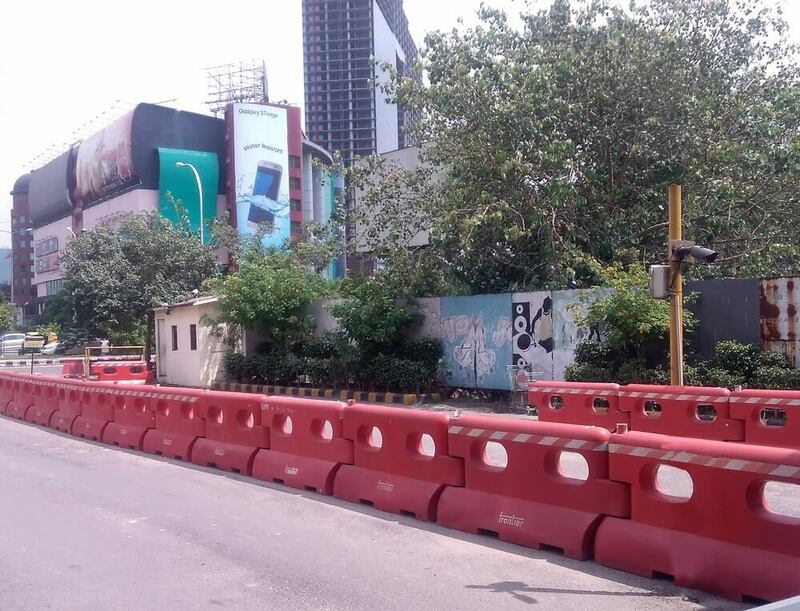 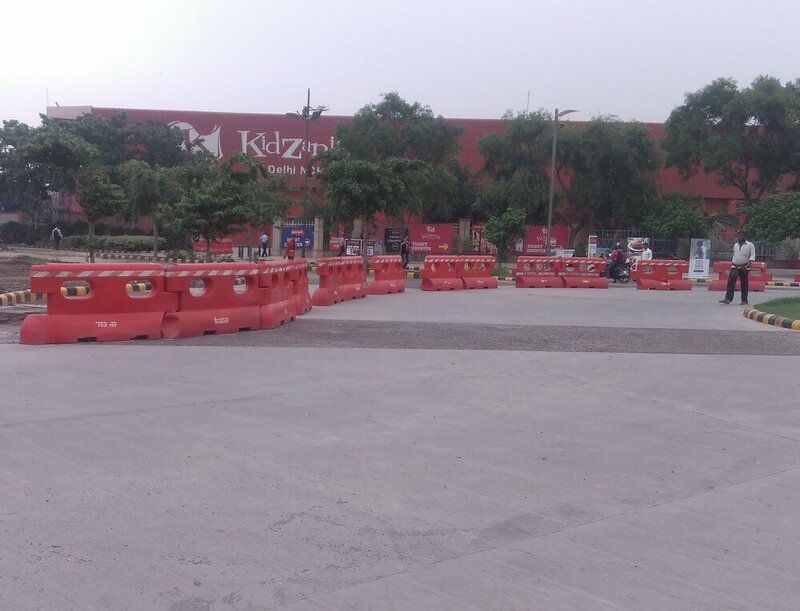 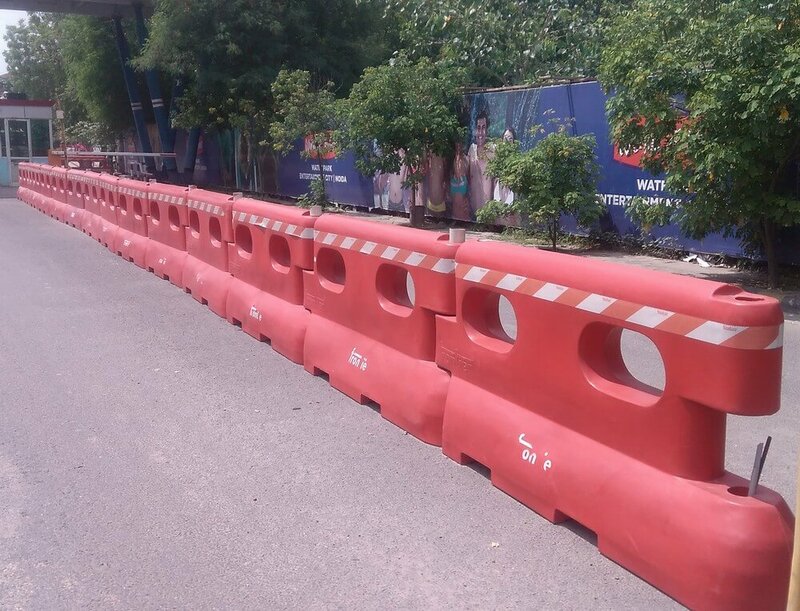 High impact Water Filled Barrier system available in 2 meter long water filled Barrier 2000 mm length, 400 mm width and 1000 mm height configuration. 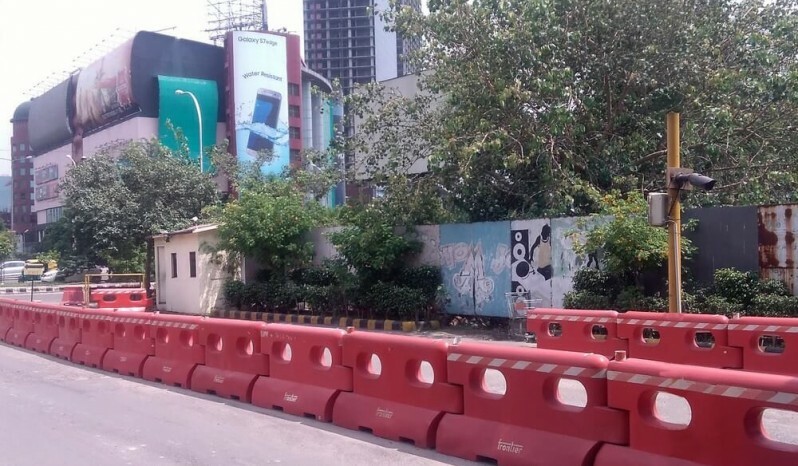 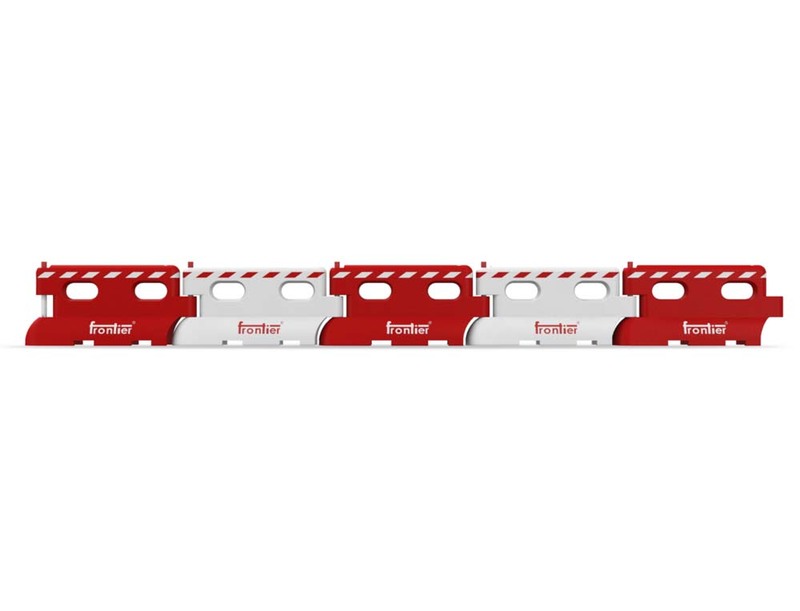 These interlocking barriers have a pin mechanism to place them in long series, curves or geometric shapes to suit your needs. 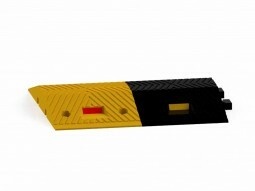 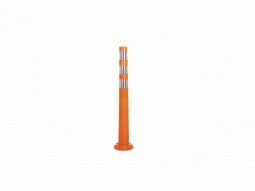 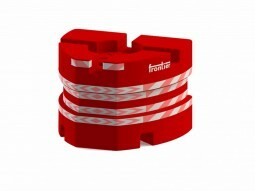 This product comes with 70 mm reflective tape and can be filled with water (100 litres) for better stability. 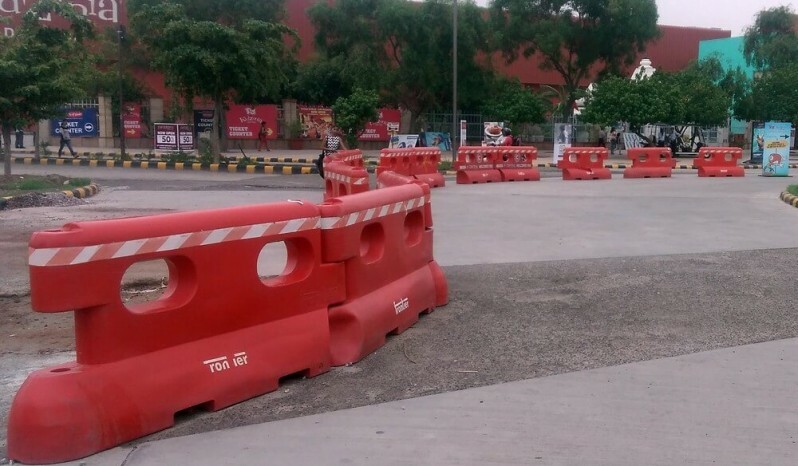 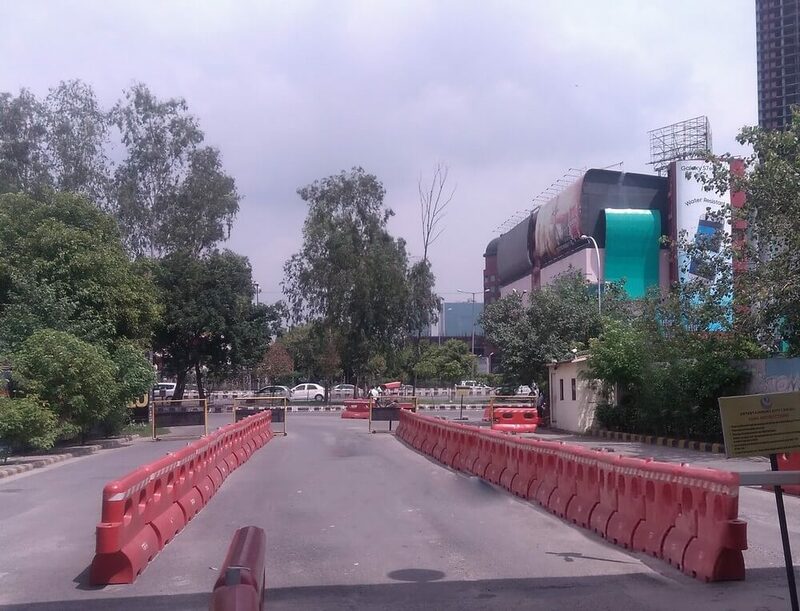 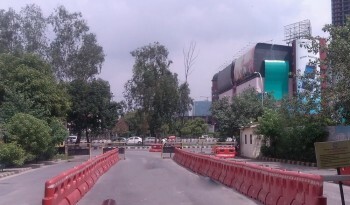 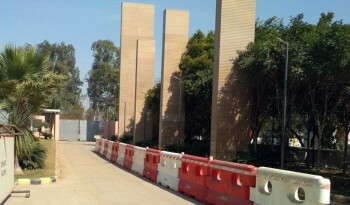 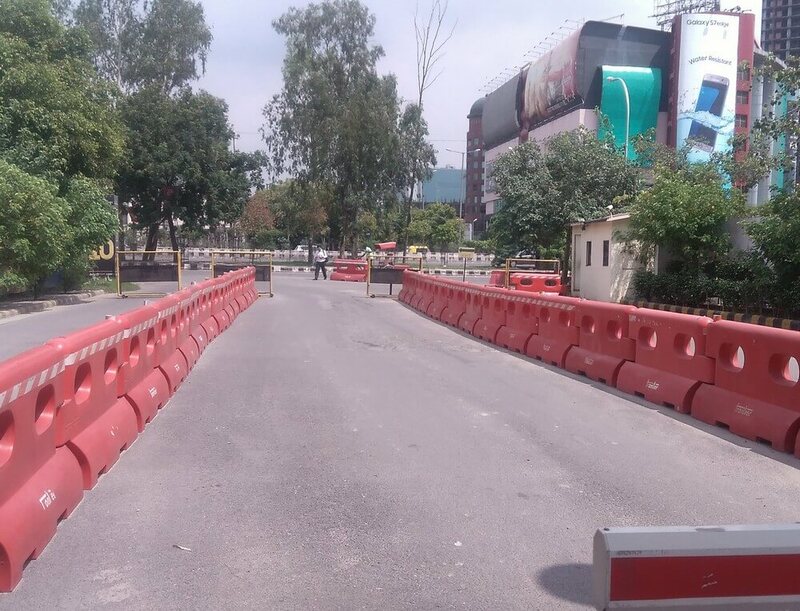 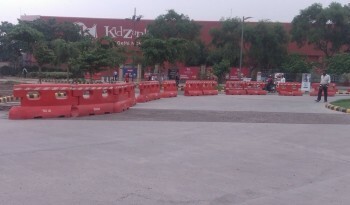 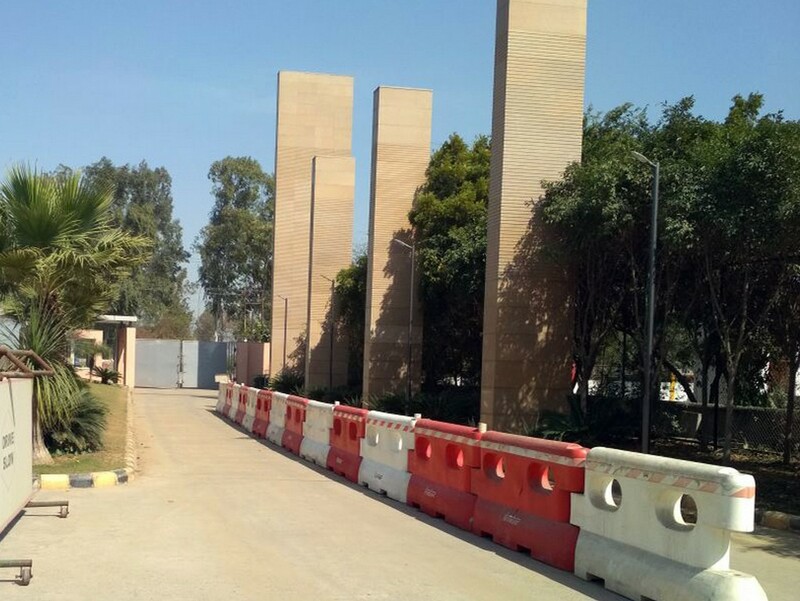 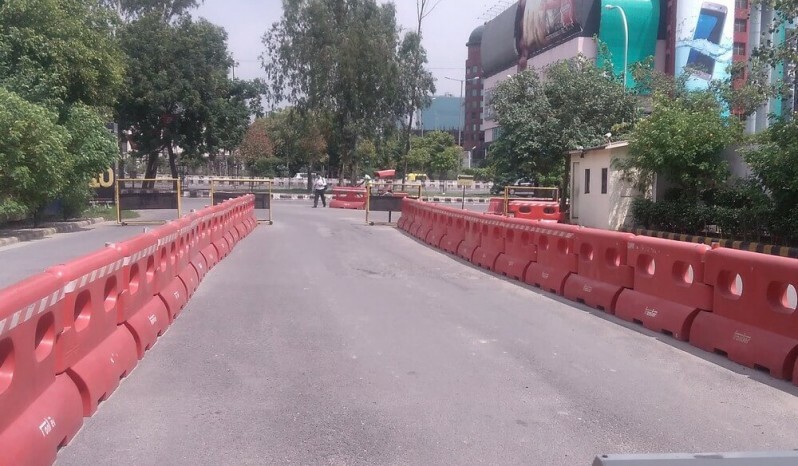 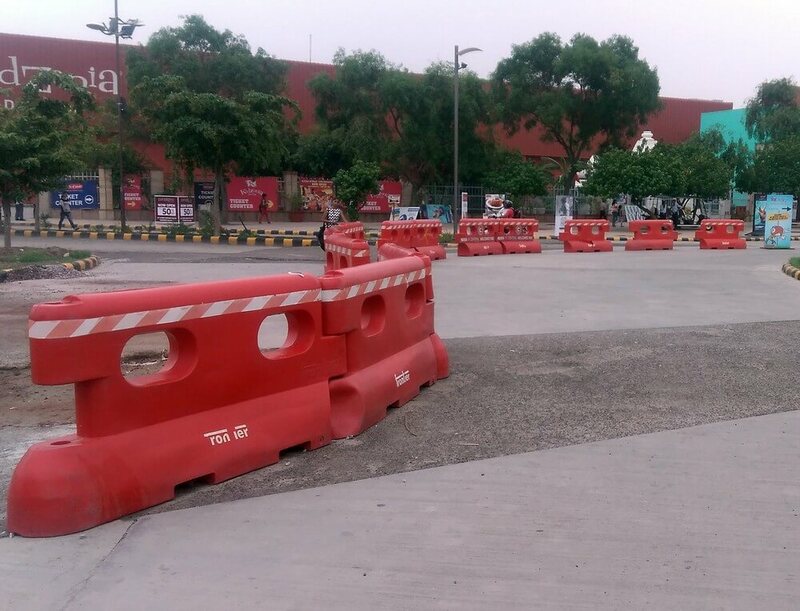 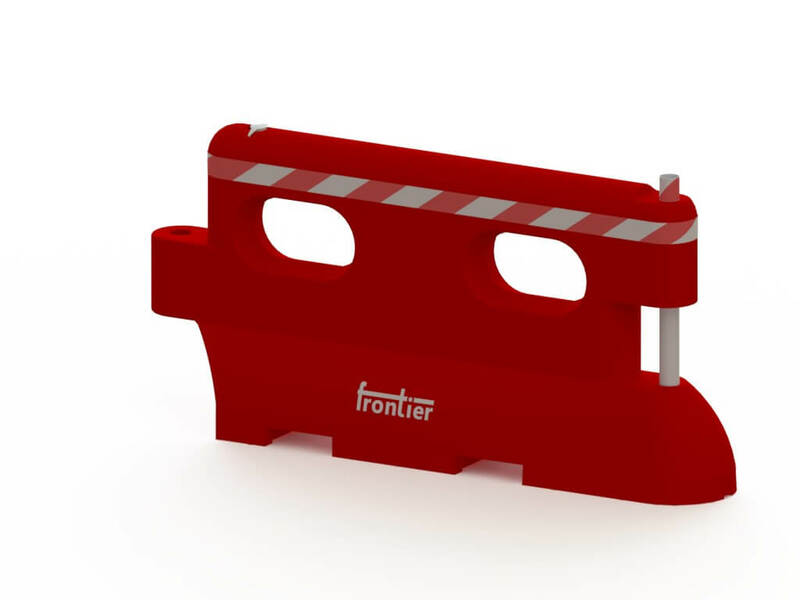 Euro Barriers are compatible with wire mesh for crowd control purposes and recommended for toll plazas. 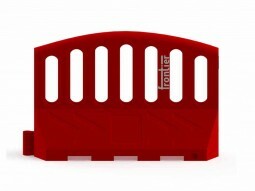 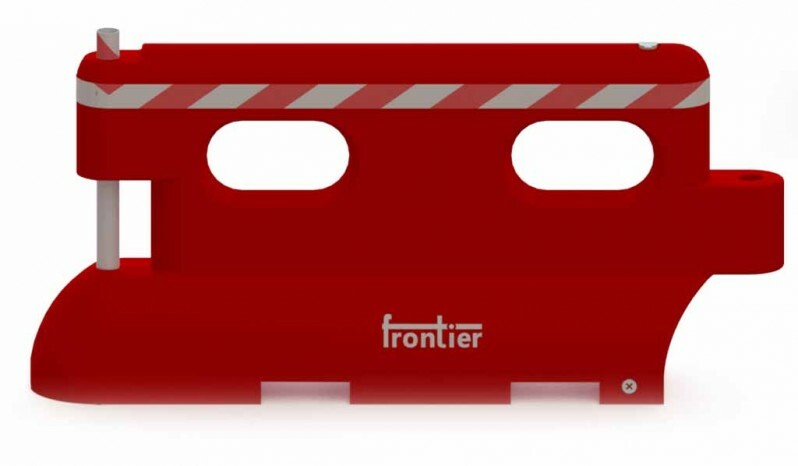 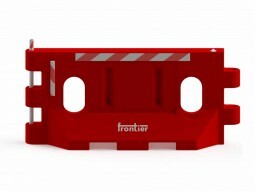 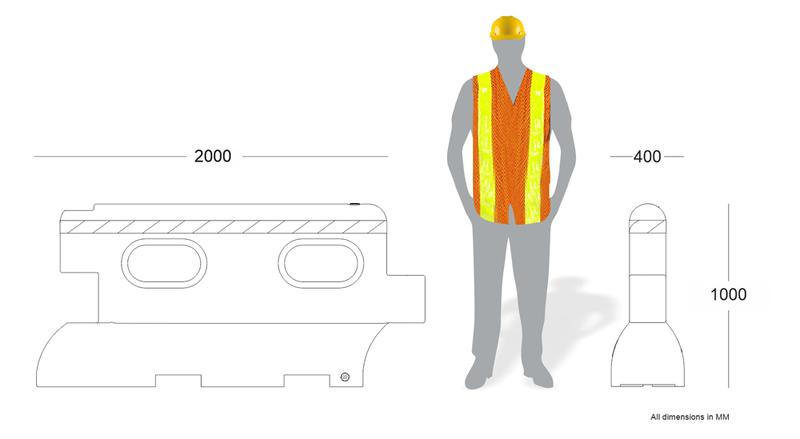 All FRONTIER products are made from imported UV stabilized polymer keeping in mind the harsh weather conditions. 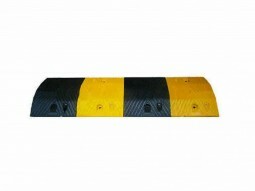 Further, These products use non fading pigments which retain their original colour for a long long time. Euro Barrier has 4 meters of tape wrapped around it. 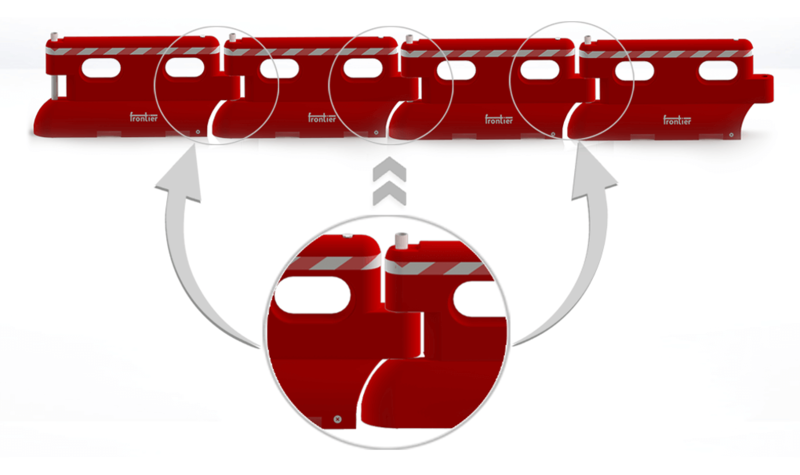 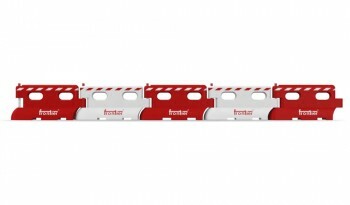 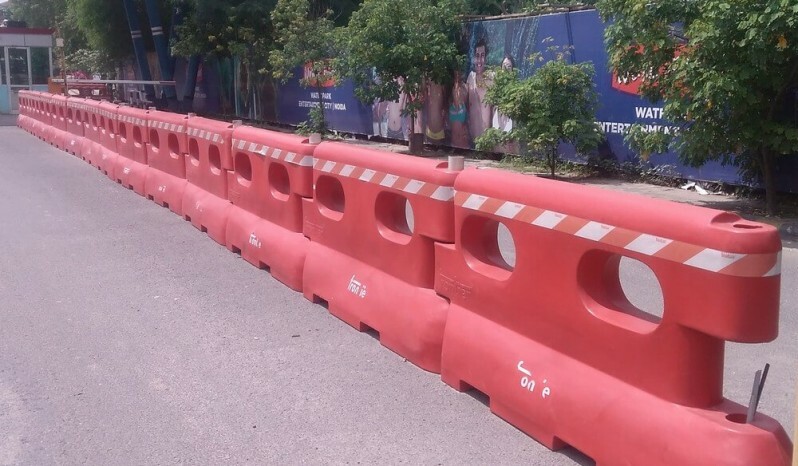 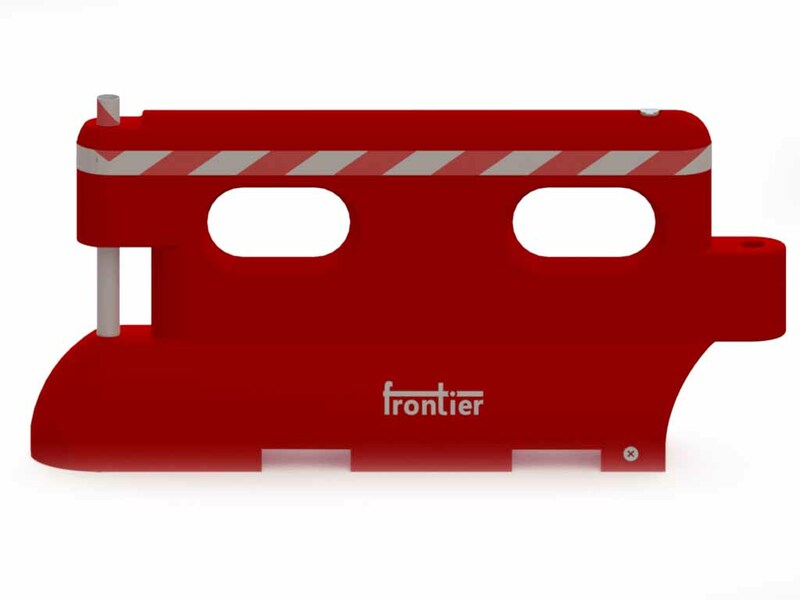 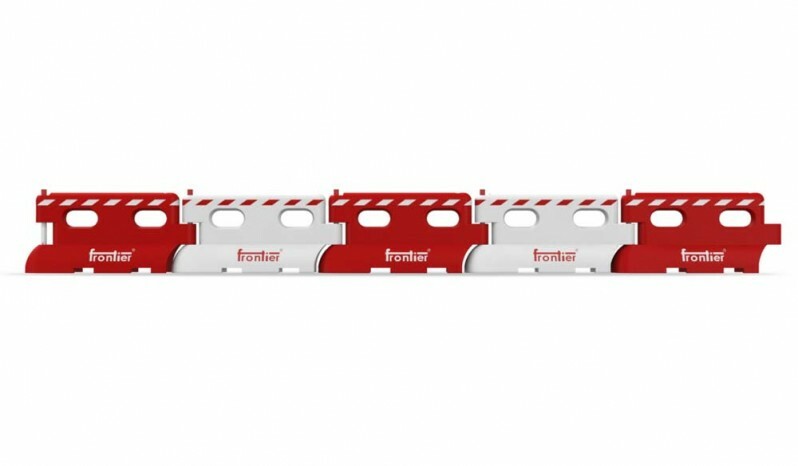 With an industry first design of Red / White chevron in 70 mm width, this barrier has very good night time visibility.